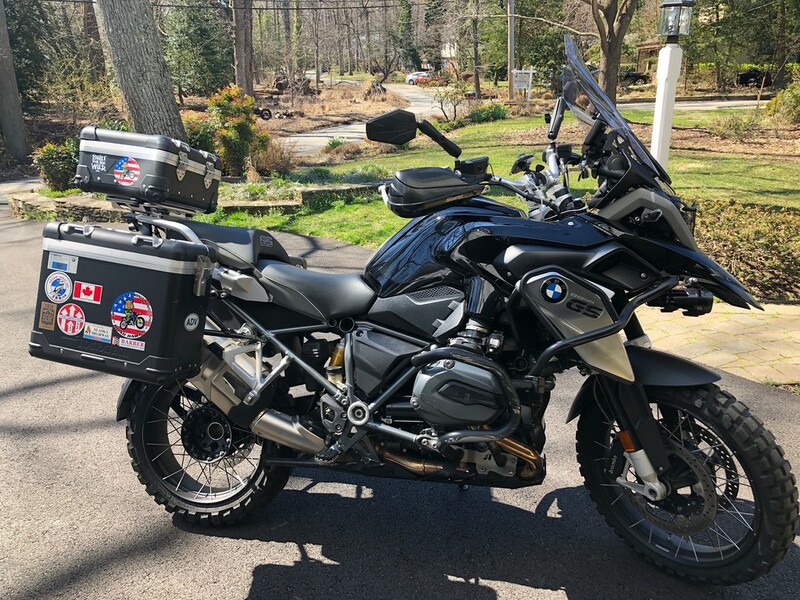 I went out yesterday and took a little 200 mile road trip on my 1200GS - the first time I've put any significant miles on it since last fall. I've been mainly riding my WR250R and occasionally the Super duke. It felt a little awkward for the first half hour of getting comfortable on it again but by the end of the ride, it was all fresh in mind why I'm in such a committed relationship with this bike. The power and comfort to run hours at a time at 75 - 90 mph; to haul all my stuff for a week+ camping trip; and to jump off in the woods and ride sometimes challenging trails and forest roads - I've never ridden anything else like it. My factory warranty expires this month on my '16 and I'd started getting googly-eyed over that fancy TFT display, cool graphics and colors; and of course that 1250 engine. That all subsided after my ride yesterday especially when I started thinking about how perfectly sorted and equipped my bike has become for me. I'm going forward under the impression that it would cost me many thousands of dollars to get a R1250GS similarly sorted so please, if any knows if my farkles are compatible with the R1250, please don't tell me. I'm all kinds of happy that the riding season is blooming for me and my '16 R1200GS. ExHarley Rider, Dr. Strangelove and Ripcord like this. Most of your farkles are compatible with the new R1250GS/A. I'm planning on moving up from my '17 GSA in the fall after I see what the 2020 offerings are. Rest assured, the R1250GS is 100% different in every regard. Not even your valve caps could be swapped over. GrayBeard and Revilok like this. Only real difference is the way the header pipe route. So anything down around that area needs to be slightly different other there's no change. Some of you guys don't follow directions very well. helo_pilot and Ripcord like this.